Lili Lite is a reading light, a bookmark and a bookshelf combined into one smart product. 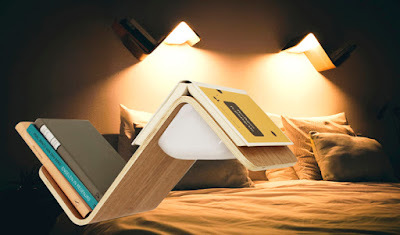 A sensor turns off the light when an open book is placed on the shelf. 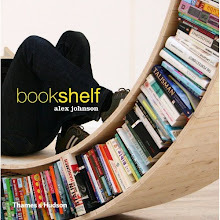 When the book is picked up again, the light automatically turns on. Lili Lite also has a switch to turn the light on and off manually. That is so cool but of course it is European with the difference in voltage and money. Dang, if they could come up with the same electric socket requirements worldwide and have an easy way to convert cash sensibly for online purchases worldwide. I would get these for me and my family.